I mainly feed with Chempak no3 which has a 20-20-20 balanced formula. 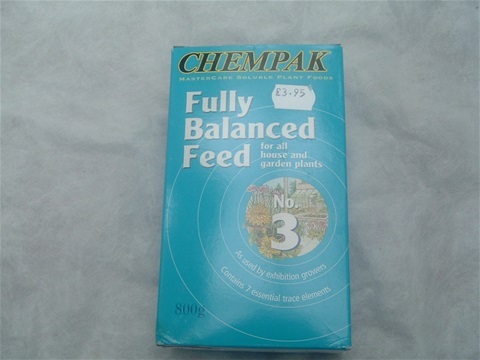 This keeps the plants growing well through most of the year. This is given every time I water. If this is once a week or longer it is full strength, if it is twice a week this will be half strength and if it is everyday in the summer this will be mixed at quarter strength. 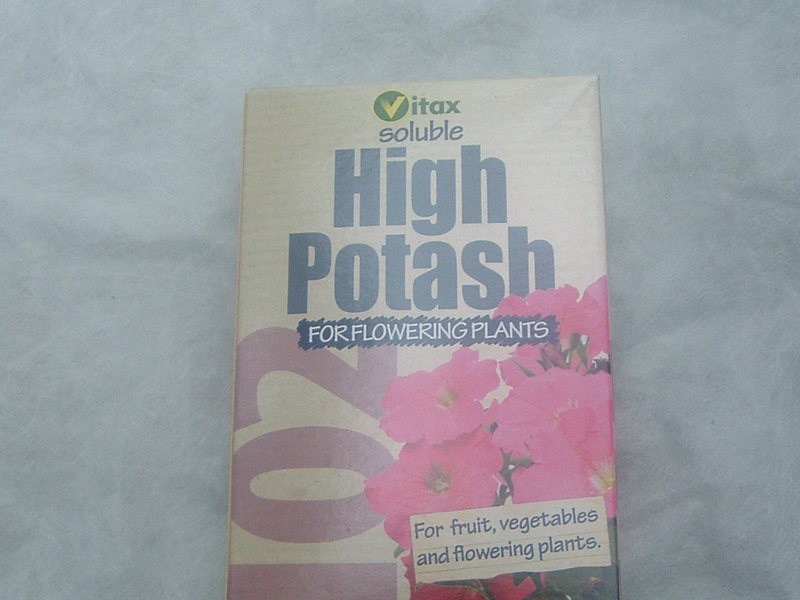 I switch to Vitax High Potash a month before a show if flowering is late or there is a lack of sun. I feed this full or half strength depending on how often I need to water. Just to show that it works for me below are 2 photos taken of Cottenham Surprise just coming into bud and 24 days later it was on the show bench. To keep the foliage looking good on my plants I give them a regular dose of Epsom Salts which is a form of magnesium. 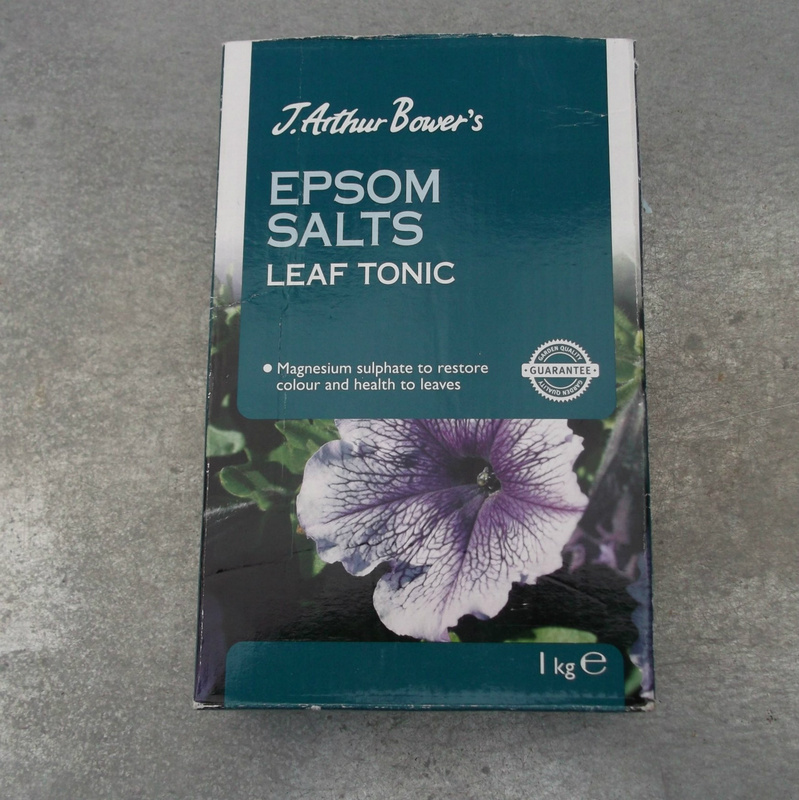 I much prefer to do it on a monthly basis rather than one dose of 2.5oz to 9 litres in the spring which I have seen recommended. On the packet it says apply by spraying on the leaves. 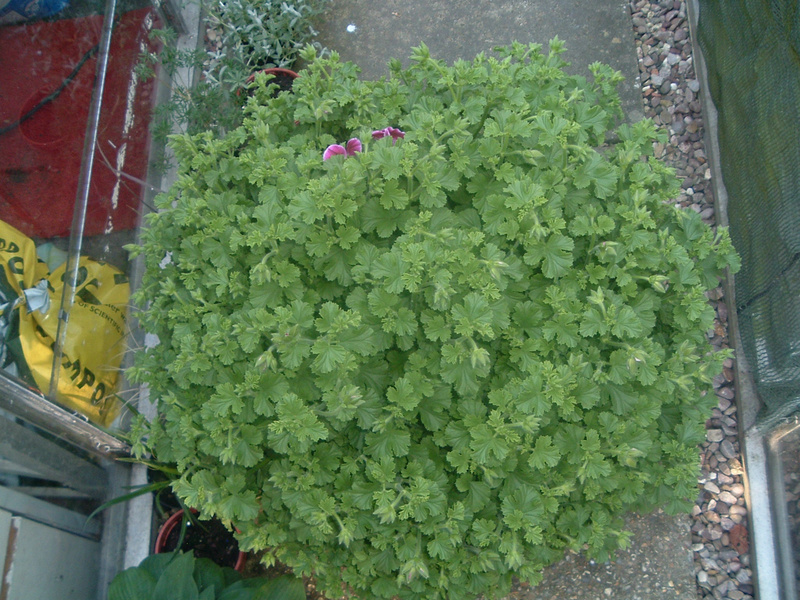 This might be ok for some plants, but it leaves a white deposit on the leaves of Pelargoniums. I find that it is best to water it in, so I mix it in with the feed. I have found that it dissolves better in a little warm water. Every now and then I give my Pelargoniums some liquid seaweed. This is not a feed but a plant growth stimulant. 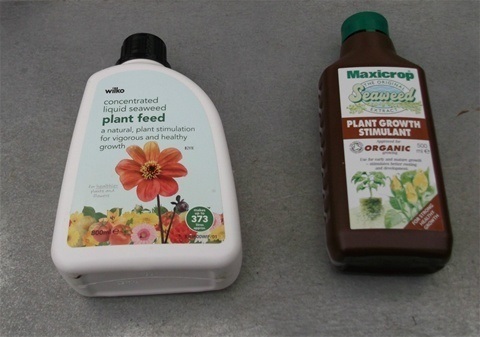 Regular use will improve resistance to pests, diseases and environmental stress. 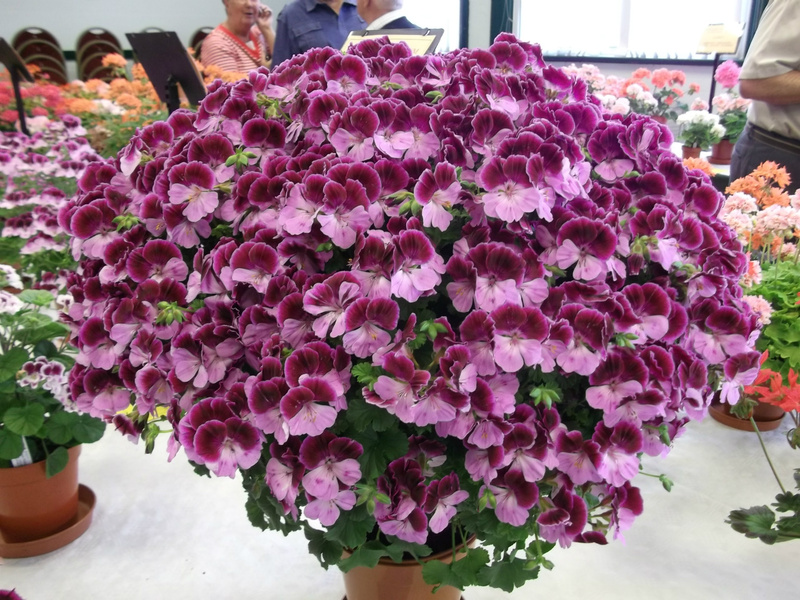 It is watered into the plant with the feed. As I show my plants I do not spray the foliage as I find it leaves a brown deposit on drying.